I feel very lucky to have stumbled across this book for the asking price of less than a dollar. It is one I never would've paid full price for at the going rate. It's finds like this that make the ride worth it, for sure! 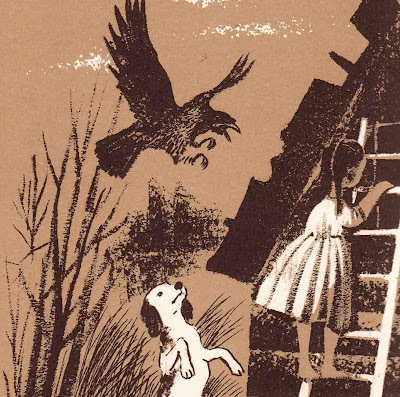 That said... though Ms. Rawlings is best known for writing The Yearling, this story was the only one she ever wrote expressly for children, and it wasn't published until after her death in 1953. Apparently, there aren't many copies of this Newbery Honor winner floating around, so it's a real treat to be able to share it with my son. 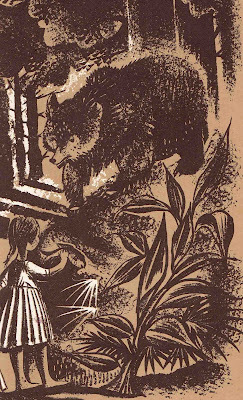 The illustrations are pure Weisgard and lend a lovely air of mystery to the story. 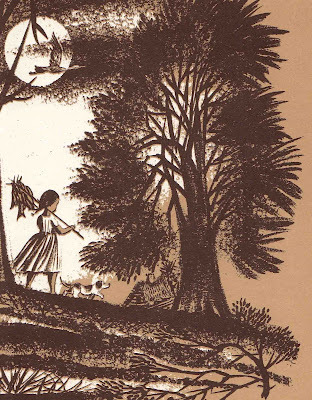 As for the story itself, Ms. Rawling's letters show she wanted it to 'stand as a conception of the universal child and of the imagination of childhood.' I would say that sounds about right. And so... at the urging of a cosmic friend, a Floridian child of poverty heads out one day in search of a secret river and returns with not just a bounty of food, but a mess of heart and soul as well. She said, "Child, I have not breathed this to a living soul, but I will tell you. There are big fish in the secret river. Oh my, the fish! Catfish, perch, bream, mudfish and garfish. Especially catfish." "Is the secret river far away?" "Nobody knows. I will tell you this--you will be home by nightfall." "How will I find it?" "Just follow your nose. You will know the river when you see it." Then hard times would end. 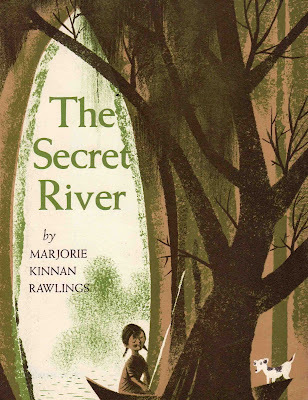 "The secret river is in your mind," she said. "You can go there any time you want to. In your mind. Close your eyes, and you will see." Ahhh... the reoccurring themes of youth we see played out so many times in books... Peter Pan... Winnie the Pooh... The Chronicles of Narnia... The Wizard of Oz. If there really were such a secret spot where all our childhood dreams come true, the world would be a better place indeed. Even if there are no such places, at least we get to love darling books like this. Clap if you believe, my friends. Clap if you believe. This looks wonderful! Gotta love finds like this!! I am a little bear.